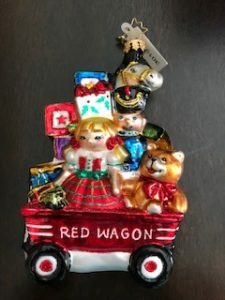 Junior League of the Woodlands, Inc. has partnered with the Radko team to craft a unique, one of a kind ornament for Holiday Market. JLTW has worked with Radko for several years to build ornaments to fit the theme of market each year. It is an extensive and detailed process that goes into making this beautiful ornament and turning it into a memory. Make sure to get your JLTW Radko ornament today to cherish forever! Click here to go to our Holiday Market sales page!